Anwaar Abdalla explains the challenges facing Egyptian doctors treating breast cancer, such as late detection and the lack of awareness. In 2008, breast cancer caused 458,503 deaths worldwide and is more than 100 times more common in women than men. Helping to raise awareness, promote preventative well care and health care, and treatment and support, is World Breast Cancer Awareness month, October 2011. 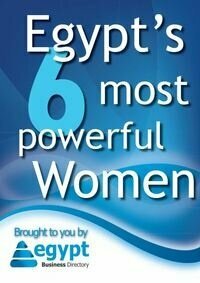 While breast cancer is a global issue, in Egypt, the figure for people suffering from breast cancer is alarming. According to official statistics of the National Cancer Institute (Cairo University), breast cancer accounts for 35.1% of the cases of cancer in Egypt and is the most prevalent cancer among Egyptian women. In Egypt, the median age at diagnosis for breast cancer is ten years younger than in the United States and Europe. According to the National Cancer Institute in Cairo, many Egyptian women fail to seek medical treatment or preventive screening, making it more difficult to treat cancers and by the time breast cancer is detected in Egypt, it is often advanced. Challenges for Egyptian doctors treating breast cancer include late detection and the lack of awareness about the disease. To combat these challenges, several active foundations and programs are working to raise awareness of breast cancer. They are educating women about the disease, teaching women to conduct breast exams on themselves, and encouraging them to visit a doctor once a year for a medical breast exam. Recognized by The United Nations in May 2011, WHOP (Women Health Outreach Program) was awarded the UN Public Service Award for 2011 for its national breast cancer-screening program. Significantly raising awareness of the disease, WHOP provides free mammograms. It is the first time in Egypt that mammograms have been performed, in the cities and also in rural, remote areas. It has provided 76,000 free screenings so far. The program also offers support and services to those with suspicious mammograms. Women who have unusual results have the option of multiple free follow-up services, including additional screenings such as biopsies and ultrasounds and surgery. Combining early detection with free treatment gives women the best chance of surviving the disease. Philips’ mobile mammography screening units enable earlier and more widespread diagnostics throughout the country, which significantly increases survival rates. One can’t deny that a mammography exam is a delicate issue for a woman, both mentally and physically. So making her feel as comfortable as possible during an examination is crucial. Another active foundation is the BCFE (Breast Cancer Foundation in Egypt) that started many effective strategies to challenge breast cancer. The mission of the Foundation is to increase breast cancer awareness and provide cancer support services in Egypt. Last October, The Susan G. Komen ‘RACE FOR CURE’ around the Giza Pyramids followed the foundation’s last meeting; The group also offers free mammograms and subsidizes and necessary follow up for breast cancer patients and services to breast cancer survivors, such as counselling and medical treatments. This October, the BCFE is sponsoring the Rally for the Cure on 18 October, Pink Steps Toward a Healthy Life on 24 October, Palm Hills Curves Walk on the 28th of October and a Zumba event on 29 October. The strong outreach by the WHOP and the BCFE are helping to diagnose early stages of breast cancer, leading to more effective treatments. They are providing information and treatment options to uninformed women in Egypt, critical to early detection as well as surviving breast cancer. Ultimately, theses efforts will help reduce the death rate from this disease. Lecturer on Civilization and Cultural Affairs for Helwan University and official coordinator of "Cultural Immersion 2011-2014".